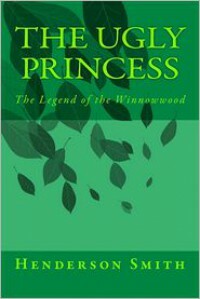 I received a free copy of 'The Ugly Princess' through Goodreads First Reads. Reading this book was pure joy! Even though the plot was somehow predictable and definitely made for younger readers - despite the fact that the subject lingered on severe subjects as war and the impact of beauty, which is an important topic nowadays. The book was easy to read and to comprehend and I really liked Olive, the Heroine. She stayed true to herself and rather helped her people than becoming beautiful through eschewing to help or removing her crux. I liked the concept of the Winnowwod and found myself a little disappointed when I got to know that all Winnowwood exchanged their power to be beautiful. Nevertheless, I was all the more glad to discover the difference Olive stated. Sadly the story seemed to be in a rush, everything happened quite fast and the storyline was sometimes a bit blurred. All in all is this book a nice and fast read!